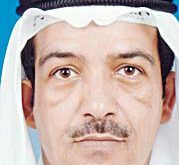 NEW YORK, March 31, (Agencies): As 16 people lie dead and more than 1,400 others are injured, the State of Kuwait, in a statement to a UNSC session late Friday, expressed “utter condemnation” of the Israeli venomous acts against innocent Palestinians in the Gaza Strip. Kuwaiti Permanent Representative to the UN Headquarters in New York Ambassador Mansour Al-Otaibi said in a speech to the urgent UNSC session on the recent violence in the Gaza Strip that Palestinians had the right to express their views in a peaceful manner during the annual ‘Land Day’; a celebration of Palestinians’ right to return to the lands of their ancestors. “We have to be clear that what have occurred today was a peaceful demonstration carried out by unarmed people, which was met by direct brute force,” said Ambassador Al-Otaibi who condemned the Israeli actions that went against international human rights. 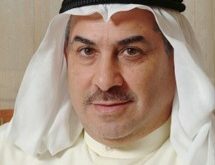 The Kuwaiti diplomat said that the Palestinian people should not remain as an “exception” when it comes to the true implementation of human rights, stressing that the Israeli aggressors should abide by the 1949 Geneva Convention concerning the just treatment of people in occupied lands. Ambassador Al-Otaibi said that it was about time for an international protection to be allocated to the Palestinian people against the atrocities carried out by Israel. The world should not forget that what have occurred today should be linked with the fact that the Gaza Strip has been suffering from over a decade long Israeli blockade, he noted. 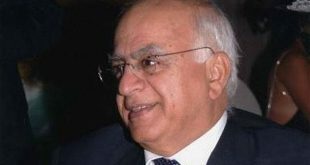 For over 50 years, Israel has been bashing all international laws concerning the treatment of Palestinians and the result so far has affected any global efforts to better the life of Palestine’s people, affirmed Al-Otaibi. 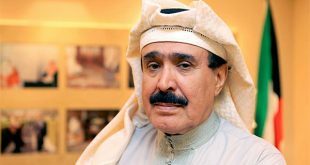 Al-Otaibi said that “terrorizing and excessive use of force” would not break the Palestinian people’s will. The International community should “hold the occupying authority, the Israeli authority, politically and legally responsible” for killing 15 Palestinians and injuring over 1,400 others. He indicated that recent global reports revealed that the United Nations Relief and Works Agency for Palestine Refugees in the Near East (UNRWA) was facing a great challenge in funding its various programs to help Palestinians due to Israeli policies. 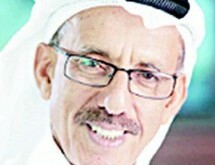 The annual ‘Land Day’ celebration, which takes place on March 30, has a profound impact on the Israeli psyche that the only way to silence Palestinians would be through violence, said Al-Otaibi who called on Tel Aviv to abide by UNSC Resolution 2334 concerning the respect of Palestinian land and the halt of settlement activities on Palestine’s soil. 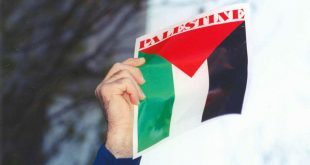 To allow the Middle East peace process to go forward, Israel should also abide by all international laws concerning the situation in the occupied lands and this means that it should come to terms with the Palestinian aspirations for an independent state within the 1967 borders and East Jerusalem as the capital of the future country. 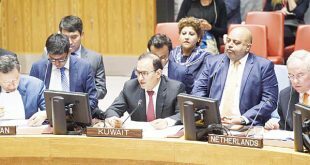 Kuwait’s stance on the most recent atrocities committed by Israel was met by positive reactions from the Palestinian representative at the UN Riyadh Mansour and Arab League representative Majed Abdulaziz. UNSC permanent members China, Russia, and the UK, France, and the US had expressed concerns over the latest acts of violence in the Gaza Strip, calling for measures to settle the Israeli-Palestinian confl ict in a justly manner to end the bloodshed. On Friday at least 16 Palestinians were killed by Israeli security forces confronting protesters, some of whom the military said had opened fire, rolled burning tyres and hurled rocks and fire bombs toward troops across the border. Palestinian President Mahmoud Abbas declared Saturday a national day of mourning and a general strike was called across the occupied West Bank. Thousands in Gaza marched through the streets at funerals for those killed. Tens of thousands of Palestinians had gathered on Friday along the fenced 65-km (40-mile) frontier, where tents were erected for a planned six-week protest pressing for a right of return for refugees and their descendents to what is now Israel. The Israeli military estimate was 30,000. Families brought their children to the encampments just a few hundred metres (yards) from the Israeli security barrier with the Islamist Hamas-run enclave. But hundreds of Palestinian youths ignored calls from the organisers and the Israeli military to stay away from the frontier and violence broke out. 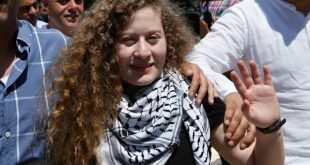 The protest, organised by Hamas and other Palestinian factions, is scheduled to culminate on May 15, the day Palestinians commemorate what they call the “Nakba” or “Catastrophe” when hundreds of thousands fl ed or were driven out of their homes in 1948, when the state of Israel was created. Israel has long ruled out any right of return, fearing an infl ux of Arabs that would wipe out its Jewish majority. It argues that refugees should resettle in a future state the Palestinians seek in the Israeli-occupied West Bank and Gaza. 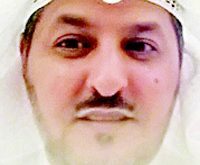 Peace talks to that end have been frozen since 2014. Israel withdrew its troops and settlers from Gaza in 2005 but still maintains tight control of its land and sea borders. Egypt also keeps its border with Gaza largely closed. 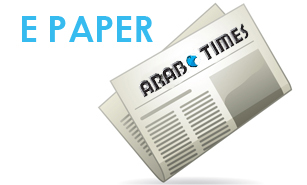 Abbas’s spokesman, Nabil Abu Rdainah, said: “The message of the Palestinian people is clear. The Palestinian land will always belong to its legitimate owners and the occupation will be removed.” Israeli military spokesman Brigadier- General Ronen Manelis said Hamas was using the protests as a guise to launch attacks against Israel and ignite the area. He said violence would likely continue along the border until May 15. “We won’t let this turn into a ppingpong zone where they perpetrate a terrorist act and we respond with pinpoint action. If this continues we will not have no choice but to respond inside the Gaza Strip,” Manelis told reporters in a phone briefing. The Gaza Health Ministry had said on Friday 16 people were killed but revised the death toll to 15 on Saturday. Meanwhile, Gazans buried their dead on Saturday with calls for “revenge” a day after a major demonstration led to clashes that saw Israeli forces kill 16 Palestinians in the bloodiest day since a 2014 war. But while anger seethed over Friday’s events, only several hundred protesters had returned to tents erected at different sites near the Gaza Strip’s border with Israel by mid-afternoon to resume demonstrations planned to last six weeks in the blockaded enclave.